Now, what do you do with a pot-bellied fish? You take it for surgery! Yes, even fish can undergo surgery. It’s not a lot different from opening a cat or a dog, just a lot wetter. The fish is kept under anesthesia by dissolving a chemical agent in the water. This water is pumped over its gills and they can breathe throughout the procedure. The approach into the abdomen is made exactly the same, except this time, you have to remove some scales out of your way. Into the abdomen we go! And what do we find? A giant mass! 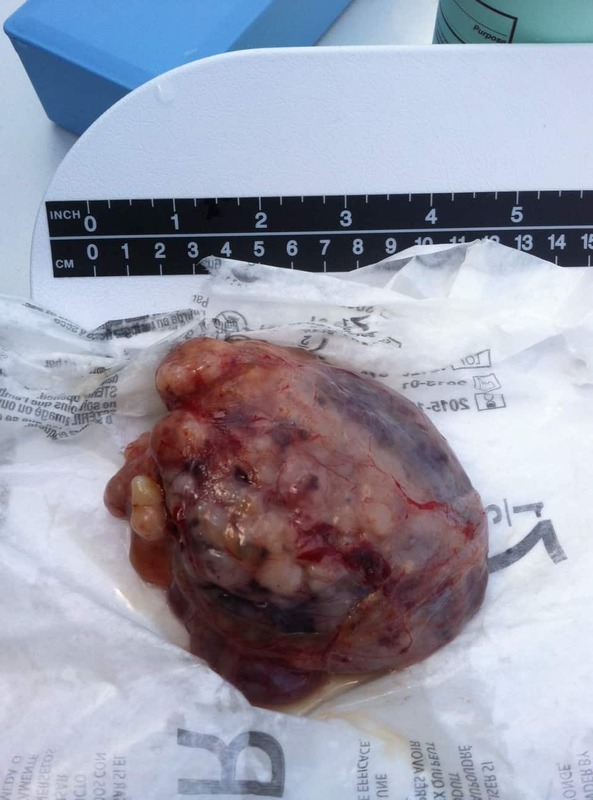 It’s hard to tell exactly what kind of tissue this used to be, but it’s around the right region for the gonads. Slowly, we separate the mass from the normal viscera (intestines, swim bladder, etc) and then we can take the whole thing out of the abdomen. Lucky for us, this one had a nice capsule around the outside, holding it all together. After the mass is removed, we flush out the abdominal cavity, checked around for anything else unusual (there was nothing of note) and close him back up! This mass turned out to be 10% of the fish’s entire body weight! After fish go through surgery, sometimes air can get trapped under their skin. 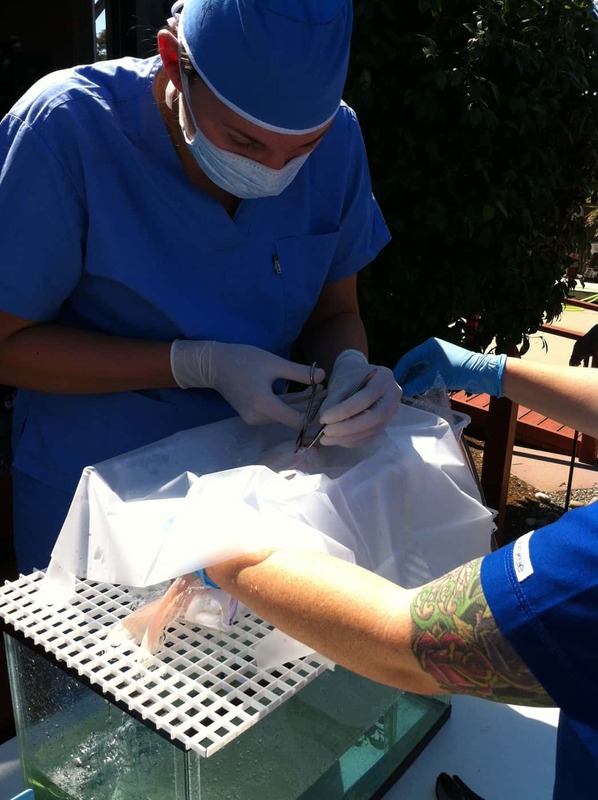 So, after the procedure when they’re recovering in their pond, we can hold them under and remove any trapped air. 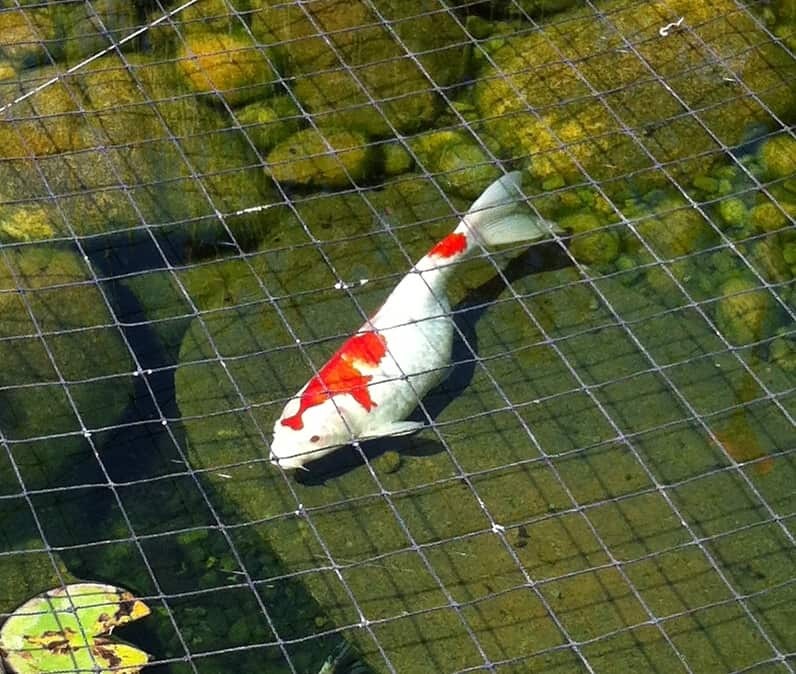 After waking up from anesthesia, out surgical patient swam off to join his friends at the far side of the pond. The next day, we went back to check on him to see how he was doing. He looked great! He was swimming around the pond with his friends and his owner said he was already back to eating. In a little over a week, we’ll be going back to remove his stitches. 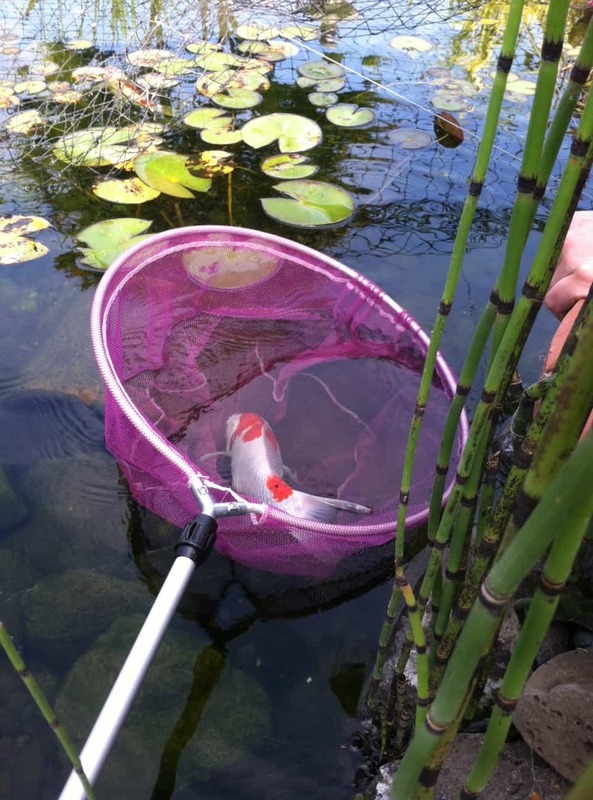 Great job little koi! Thanks goes to my two wonderful technicians in training, Connie & Sara. They did all the fetching for me during the procedure, kept an eye on our fish’s respirations and held his anesthesia tube in place. Would not have been able to do it without them!